Pure Two-Rock tradition, combining pristine clean tones with searing, superb leads for the ultimate in hi-fi performance. That’s what sets Coral apart. Coral builds on that history as a versatile two-channel amp with a shared EQ and a cascading gain structure for professional-level dynamic control, rich harmonic tones and full bass response. Add classic Two-Rock reverb with an improved signal to noise ratio and post master circuit, along with a versatile EQ section for extensive tonal shaping. 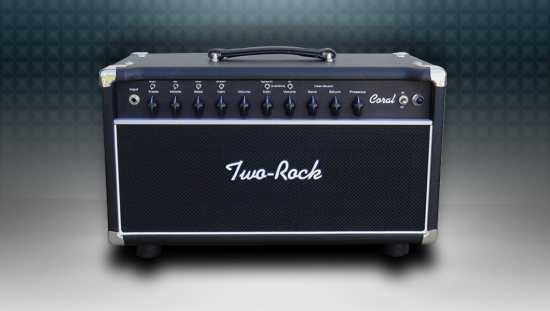 Available as a 50W 1×12 combo or 50W head, Coral takes Two-Rock’s amplifier platform to new levels. Coral. Your Voice. Amplified.